My new Commodore 64 led me down a path I could ill afford – a floppy drive, a printer, a monitor, and eventually a modem. But these peripherals came in affordable stages (one cannot eat an elephant in one bite). But a disk drive and software for word processing were at the top of the list. A number of word processors were available – PaperClip was number two, in my opinion, but the best one of the lot was Easy Script due to the accompanying spell check. Everyone was selling Commodore software, even furniture stores. One Saturday morning I visited Sears, hoping they might have a copy of ES. They didn’t, but the salesman wasn’t about to let me walk out empty-handed. “What’s do special about Easy Script?” he asked. “Well,” he said, “what you need is this,” he said, whipping out a small calculator-size device. Entering the word in question brought forth a number of choices. “Slip this in your shirt pocket and you’re good to go,” he added. “I’m not interested,” I responded. He was disappointed, but he wouldn’t back off so I asked to see the carton he was holding. The sales pitch printed on a side panel called the device a self-contained spell check system “Let me see the unit,” I said. I typed in the hyphenated word self-contained and pressed the enter key. It couldn’t match the word. “This thing’s no good. It doesn’t even know the words on the box it came in,” said, handing it back to him. Most people know that hyphenated words aren’t found in a run-of-the-spell check database. But he didn’t. He was still fiddling with it when I left the store. Within a week I had everything but a modem. I had no use for one. I even passed up a distress modem-sale at Payless Drugs – $5 each. To make the initial connection with their unit one had to dial the number using the telephone, wait until the other modem answered and then quickly disconnect the wire from the phone and connect to the modem. Then, unless a certain number was dialed prior to that initial connection, anyone calling in would terminate the modem connection. It was a hassle. No thanks. But then something unexpected occurred. I’d mailed a crop dusting manuscript via USPS to the editor of Ag-Pilot International Magazine. Months passed before he responded. The only contact he left was a FIDO MAIL address. One of my associates was involved with this precursor to Internet email, so I was not caught totally flat footed. Not willing to share my personal grief meant I needed a modem, and I needed it now. Payless Drugs was no help, having shucked all things related to computers. After calling computer stores far and wide, I located a 300/1200 baud modem fifty miles north of town. With the temperature hovering in the mid-20s and no car, I rode a Suzuki 250cc 2-stroke motorcycle the hundred miles round trip and gleefully paid $175. I thoroughly enjoyed the second episode of your computer odyssey and I am eager to see what comes next. 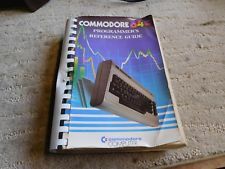 The C-64 manual should have some antique value by now. Thanks Peter. It’s fun to relive these old adventures without the heartburn. You’ve done that as well.